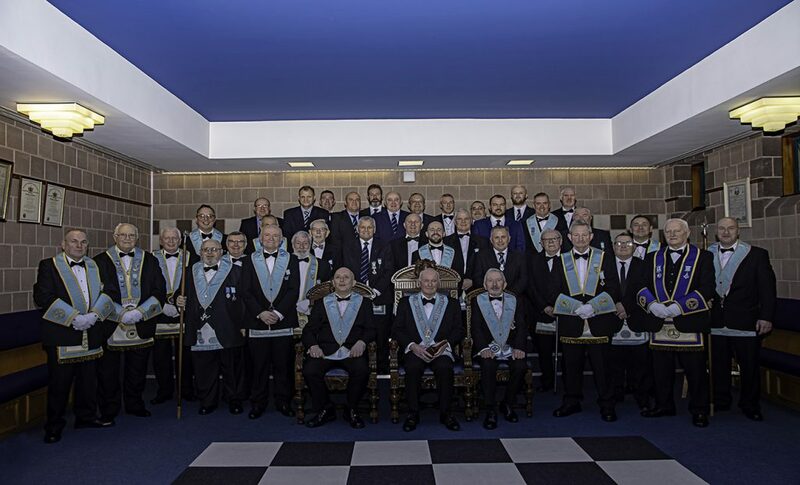 Meet Abbey 180’s new Worshipful Master, W.Bro. Lee Burnside. An exceptional Emergency Communication on Saturday, 14th September 2019, with a 150 Festive Board Dinner, which the Deputy Grand Master & Provincial Grand Master will attend. 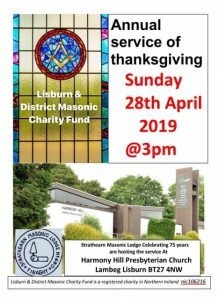 A moving Service of Thanksgiving on Sunday, 29th September 2019 at 3.30pm, in Joymount Presbyterian Church, Carrickfergus. A very Special Formal Gala, 150 Ladies Night, 19th October 2019 in the Loughshore Hotel, Carrickfergus. Sparkling wine Reception with 4 Course Dinner followed by a quality Band & Disco. R.Wor. Bro. 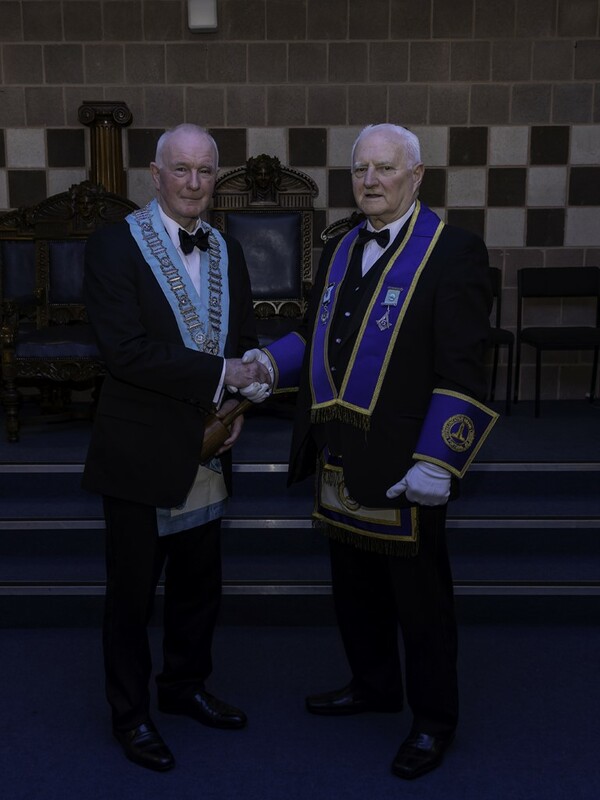 Bobby Spiers, the Installing Officer and Elected Member to the Grand Lodge of Instruction & also Grand Lodge Representative to the Grand Lodge of Portugal, congratulating W.Bro. Lee Burnside after his Installation. W.M. 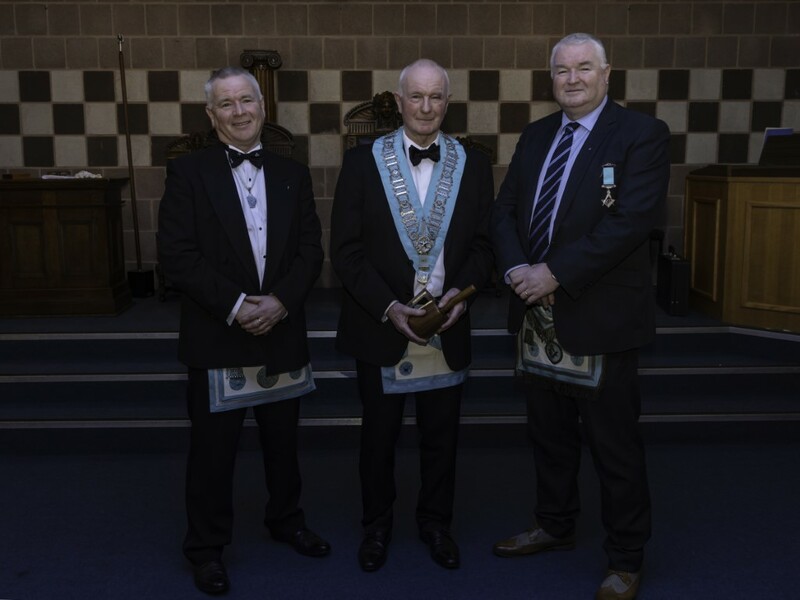 Lee Burnside accompanied by his Brothers, W.Bro. Richard Burnside and W.Bro. George Burnside. W.Bro. John Gibson on behalf of W.Bro. 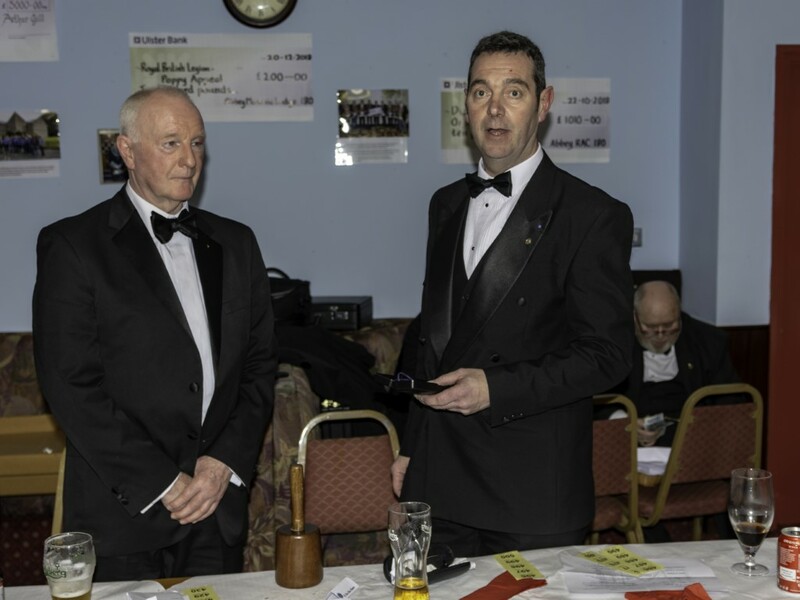 Neil Ritchie presenting the W.M with a Maul for the Lodge to celebrate its 150th Anniversary. W.Bro. 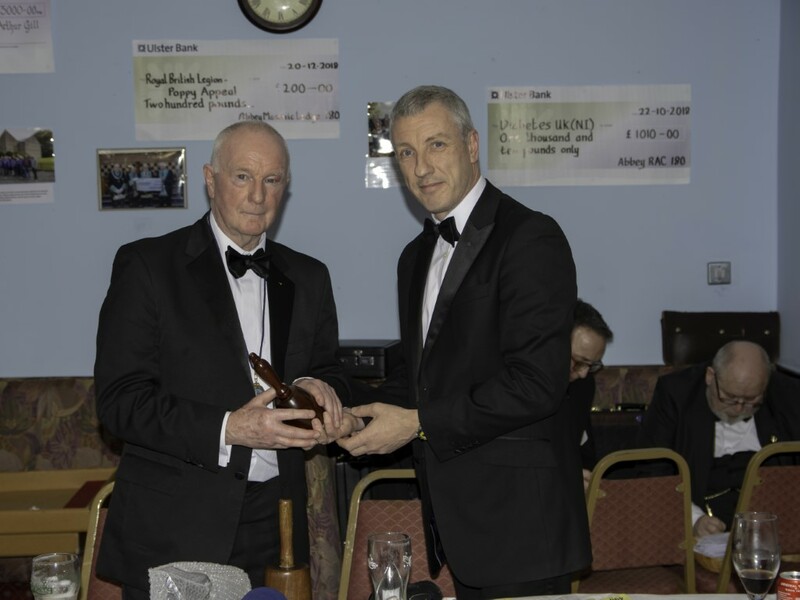 Stephen Bell presenting the W.M. Lee Burnside with the Masters Jewel.